Benefit has always been admired for their cute packaging and fun product names. But the brand has gone the extra mile with their two new limited edition eye palettes, the Eye Wanna! and the Eye Gotta! Thanks to the artistic flair of Barcelona-based illustrator Pietrai Posti both kits feature beautiful packaging graphics, while nestled inside each are five different eyeshadows, three powders and two creaseless cream shadows/liners, that were expertly chosen by Benefit Global Beauty Authorities Maggie and Annie Ford Danielson. Benefit The Maggie Collection Eye Wanna! 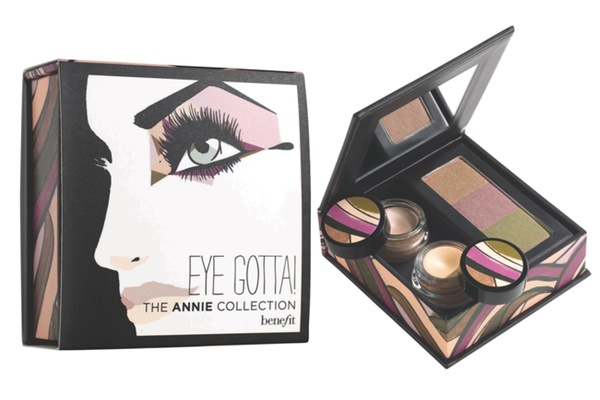 and The Annie Collection Eye Gotta!, $36 each, available at Sephora.